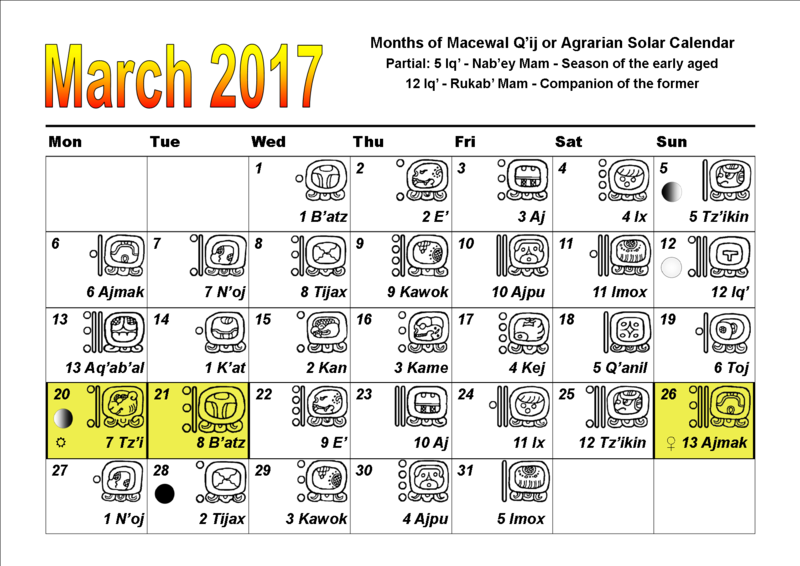 Here are the days of the Chol Q’ij mapped onto the Gregorian month of March 2017. 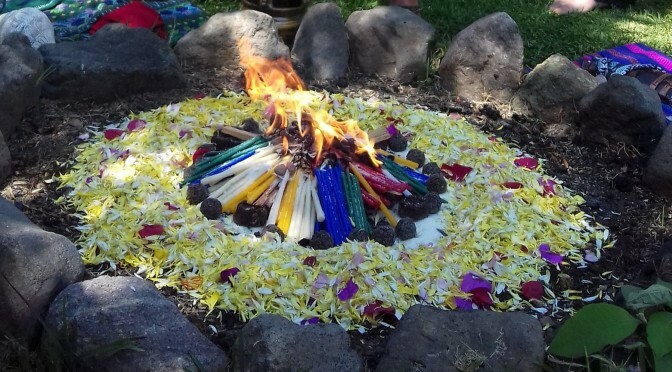 Particular highlights of this month include the Equinox on 7 Tz’i, followed the next day by Wajxakib (8) B’atz, the beginning of the new ceremonial cycle and one of the most important days of the sacred calendar. Astronomically, Venus is scheduled to disappear from view on 13 Ajmak as it makes its eight day transition from its “evening star” to “morning star” phase, the inferior conjunction. 26 13 Ajmak Forgiveness from/of ancestors, release ancestral karma Inferior conjunction of Venus begins.